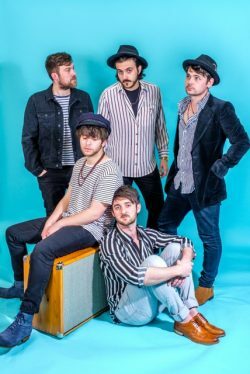 WELSH indie-roots band Rusty Shackle visits The Exchange in Bristol on Friday 15th February as part of its launch tour for the new album, The Raven, The Thief and the Hangman. The five-piece folk-rockers have already released three successful albums and have a keen following as a live band, playing festivals and venues around the world for the last eight years. For the last two of those years, the band has been researching folk music – trawling through libraries, manuscripts and interviews, gathering together stories from through the ages. Then they set about writing music, inspired by their researches, and the result is The Raven, The Thief and The Hangman. The album mixes traditional folk lyrics from around the world with brand new music and melodies written for them. Posted in I Got Music on 11 February, 2019 .